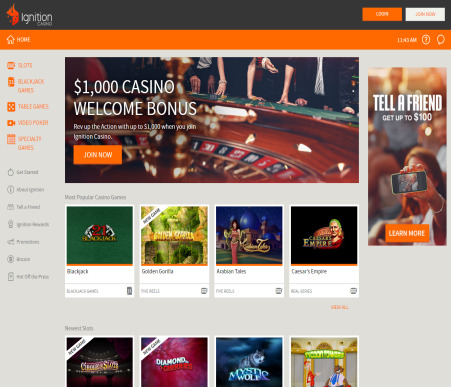 Welcome to our Ignition Casino review! Please don’t forget to contribute to the page by sharing your honest experience with other OnlineCasinoBluebook.com readers. Just recently established in the beginning of 2016, Ignition Casino is already making its impact on the online gaming world with a site that is professionally designed and accepts players from the US. The casino features a large collection of games that come from multiple trusted developers, and the content is backed up by a secure environment with professional support available around the clock. Players will have access to frequent bonuses and promotions, including an incredibly rewarding welcome bonus for new members. Ignition Casino offers a handful of banking options for completing transactions, with quick withdrawal times being a highlight. The site is certified, regulated, and is a prime example of placing player satisfaction above all else. The casino utilizes encryption software technology to provide protection against outside threats. Known as secure socket layer or SSL, this security feature protects vital information and payment info as it is shared between the player and the site. Ignition Casino also does not store any payment history in an effort to eliminate fraud, and the site is guarded by firewalls. Additionally, the casino advocates player safety through responsible gaming and offers many different resources to assist every member who feels at risk in regards to developing a gambling problem. These include everything from a temporary cooldown period to self-exclusion and the permanent disabling of an account. Ignition Casino currently offers multiple promotional benefits for becoming and remaining a member at the site. These perks include the welcome bonus for new players just signing up with a real money account. 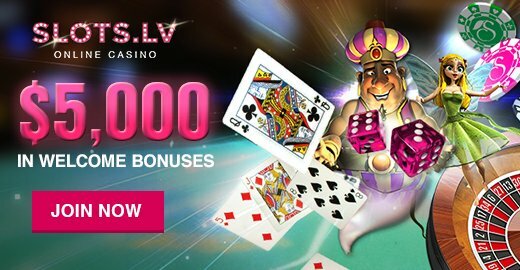 The casino offers a 100% matching bonus on the player’s first deposit, and the bonus has a monetary value of up to $1000 in free credits. Once completing the initial deposit, the welcome bonus is instantly added to the account. Ignition Casino also offers an incentive for players referring friends to register and deposit by giving the player who makes the referral a 200% match on their friend’s first deposit. This is worth as much as $100 and there is no cap on how many friends can be referred. Other promotions at the casino include weekly bonus matches that every player can take advantage of, as well as a comprehensive rewards program that will benefit players based on their frequency of gaming. Instead of just using casino games provided by a single developer, Ignition Casino has opted to partner with multiple developers regarding the software and content provided on the site. These companies are some of the most well-known contributors to the industry and include Realtime Gaming, Rival, Genesis Gaming, and Betsoft. All games featured at the casino are presented with expertly-designed graphics, immersive sound effects, and smooth animation that exhibit why these developers are so popular and widely used. The casino features hundreds of different games that players will be able to choose from, including a large library of online slots. The slots range anywhere from classic 3-reel games with a single payline to advanced video slots that contain multiple pay-ways and bonus features. Some of the featured slots are also linked up to the system of progressive jackpots hosted by the casino. Other games include a handful of blackjack titles, various table games like roulette and baccarat, as well as video poker and some other specialty games with unique characteristics. This diversity in the gaming selection allows Ignition Casino to appeal to a wide audience of players. Ignition Casino provides professional player support and customer service through a couple of different methods that are always available to each member of the casino. Players are able to use an online contact form and e-mail the casino with any questions or concerns that may arise while playing at the site. This method proves to gain a timely response from the casino, with an expected wait time of under a few hours. The casino also provides a telephone number for players to call if they prefer this method of contacting a representative. Support is available 24 hours a day and 7 days a week, and the team of representatives is trained with industry experience. At the present time, Ignition Casino offers two different ways that players can make deposits at the site. Credit cards are accepted by the casino, and players are able to use both Visa and MasterCard for completing the transactions. A unique feature at Ignition Casino is its acceptance of Bitcoin as a currency for making deposits. The casino will honor all Bitcoin transactions and this form of payment is incredibly secure. The casino does not charge any fees for depositing funds. Players can expect the minimum deposit amount for both Bitcoin and credit card transactions to be $20. As is the case with depositing at the site, the player can also request withdrawals by using Bitcoin as the preferred method of receiving a payout. Ignition Casino will also complete withdrawn payments to players via check sent by courier. Players may feel free to contact the casino and discuss any additional options that are currently available. Both the check and Bitcoin withdrawal options will typically have the payment in the player’s hands within a few business days, and Ignition Casino does not charge any fees for withdrawing. The casino strives to ensure that all gaming content and features are made fair for the player with high payout percentages and balanced odds. Because of this, Ignition Casino regularly has its games monitored and audited by an independent party to check the payouts and make sure that the software is operating how it should. Additionally, the casino stands by its promise of quick payouts and follows suit by offering immediate assistance regarding payments. This type of transparency allows the casino to remain certified and in good standing, and it displays the site’s dedication to players’ satisfaction in receiving a fair and trustworthy gaming experience. Ignition Casino holds its licensing and certification from the Kahnawake Gaming Commission. This establishment currently licenses and regulates over 200 online casinos and multiple operating parties. The commission is well known for responsibly and diligently working towards supporting player advocacy and making sure that every gaming site is operating under fair conditions. Ignition Casino’s affiliation with this regulating body is a way for players to know that their time at the site will be safe and exceptional. The Kahnawake Gaming Commission is located in Kahnawake, Canada within its Mohawk Territory. Though still just a newcomer compared to other online casinos, Ignition Casino has what it takes to become a major player in the industry. This is evident through the website’s clean design and easy navigation, with considerable diversity in its gaming selection and ease of use for even the newest player. The casino’s welcome bonus cannot be overlooked, because it adds a lot of value to the player’s first deposit without many hoops to jump through. Another great feature to point out is the acceptance of Bitcoin as currency when banking at the site, as it opens the door for more players and offers an incredibly safe way to transfer funds. Ignition Casino is highly recommended for new and experienced players alike, and it is poised to establish itself as a prime destination for online gaming in the years to come. Thank you for reading our Ignition Casino review!